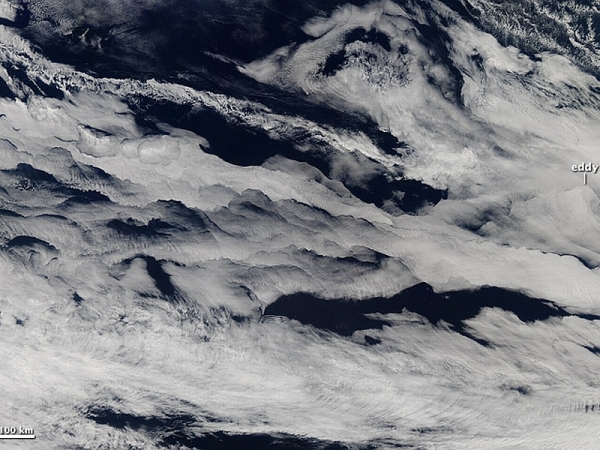 Washington – In a new research scientists demonstrate the significant role that phytoplankton in the Southern Ocean actually play in clouds formation. Phytoplankton is a collection of a microscopic plant material that flourishes in the ocean and floats through the clouds all over the world encouraging water condensation – brighter clouds are formed and more sunlight can be reflected. This microbes are known because of their influence in managing Earth’s climate by pulling down CO2 for the vital photosynthesis process every year. This research is also very important in the discussion about climate change. Phytoplankton are photosynthesizing microscopic organisms that inhabit the upper sunlit layer of almost all oceans and bodies of fresh water. Even NASA satellite data was used to measure that cloud droplets in the sky over that area. The report claims that the minute ocean life generates airborne gases and organic matter which incepts cloud droplets, this can give rise to more brilliant clouds and help reflect more sunlight in essence.